I’ve got two children (3 years & 18 months ) at this school. We started when my son was 20 months and my youngest started when she was 14 weeks. We absolutely love this school. It is so hard and nerve racking to find a place that you are comfortable leaving your children all day / 5 days a week. I toured 7 preschool/day cares in the area prior to choosing Happy Minds Kids Academy. When I toured this school I immediately got a good feeling when I walked in the door, it was clean and organized. I was created friendly and professionally by the assistant director and then met with the director in her office. When we toured the school she explained all the different rooms and classes, it was really neat to see the kids in their element and how much fun they were having. I also really like how the ages are split up in the classrooms, while mixed ages play together outside, the class rooms are primarily split by age, with the 2 year olds having 2 rooms, one for older 2’s and another for the younger 2’s. After my tour I visited the school twice to sit in the toddler room with my son and get to know the teachers. I loved what the teachers had to say about the school, the other teachers, the director and the students. My kids absolutely love this school and so do I! In a home where both parents work full time it’s a necessity to be comfortable and confident in the school you choose for your littles. I highly recommend this school, I can’t imagine being anywhere else. Our twins just graduated from Happy Minds to move on to Kindergarten. It is with a smiling and a crying eye that we bid farewell to Ms. Fashana and her wonderful team. Our children were in Happy Minds’ care since they were 2 1/2 years old, enjoying excellent, dedicated, and skillful teachers such as Ms. Yvonne, and most recently, Ms. Rashmi, Ms. Sally and Ms. Jessica. All teachers and assistant teachers gave our children an incredible start to their schooling. Each day our kids would look forward to seeing their friends, and learning new things. The teachers made everyday fun and full of new learning experiences, but also helped them develop a sense of respect and social skills. Ms Rashmi, for instance, sat on the floor with the kids and interacted with them, whether sharing weekend tales, reading stories, or introducing them to yoga and meditation. I always felt Fashana’s teachers genuinely cared about all children in their classrooms, and possess nearly endless patience. Our children loved when Ms. Rashmi organized weekly “share days”, during which every student had to bring and share a toy starting with that week’s letter of the alphabet. The teachers also kept collecting all the art the children produced as part of their curriculum, and created keepsake portfolios for each student. As parents we liked the daily communication about Alexis’ and Nicholas’ day and progress, in addition to wonderful events, parties, water days, fun summer camp activities, fire department and police visits, and of course field trips. Now our twins are transitioning to Kindergarten, and we will certainly miss Happy Minds! In conclusion I strongly, without reservation, recommend Happy Minds as a child care provider. Any child that gets to spend time with Fashana’s team will greatly benefit from their care and experience. My oldest son attended Happy Minds until he entered kindergarten. At our first kindergarten parent-teacher conference, the teacher mentioned how prepared he was. She asked where he went for preschool/daycare, and she had not heard of Happy Minds before, but she said she was impressed and is happy to hear our youngest is also attending there. She also noted that our son was better prepared than children who were coming out of Montessori schools. Our youngest would be attending T-K, but the school our oldest is attending does not offer T-K. I am glad he will have an extra time to prepare at Happy Minds, and I have full confidence that he will also be prepared for kindergarten. Can’t be happier with how Happy Minds have treated our family and how our children have learned so much academically and socially. I would not hesitate recommending Happy Minds to friends and other parents. “My son previously attended Happy Minds and my daughter still does. When I moved to Laguna Hills, I was checking the area for a preschool that offered a warm environment and a strong learning program. I checked out a couple and they were pretty expensive and I just didn’t get a good feel after visiting. After searching and searching, I found Happy Minds Kids Academy. Upon walking in, I noticed how clean it was, well organized, and all of the kids seemed to be…well…happy. All of the staff, teachers, and Fashana are amazing. They all say “Hi” every time I come in and they are all really good with the kids. When I drop my daughter off in the mornings, they are immediately talking to her, asking her about her clothes or something random, and just engaging. All of this is great, but that makes them a good Day Care, and doesn’t speak to the Preschool aspects. My son is now in Kindergarten and he is doing really well! He is ahead of most of the kids in his class and his teacher says how amazing it is to have such a good student. As a father, I obviously feel proud. I have to say though, I really couldn’t have done this on my own. Happy Minds is what really pushed him to the level he is at! He is only half way through his first year of Kindergarten, and he is already reading first and second grade level books! My daughter loves going to school and seeing her friends and the teachers! She almost always gets there excited and ready for the day! 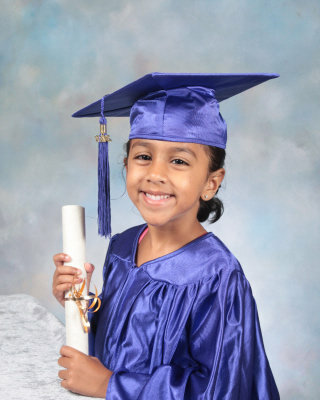 My little one has been attending since she was 18 months old,She is now 4 and has entered Pre-K. Within one month she was writing her full name!!!!! So happy about the wonderful teachers and their caring and kind ways of teaching. Thank you for the letting me work with the knowledge that my daughter loves learning now and she is well taken care of! ‘Happy Minds’ Kids Academy may as well be called ‘Peaceful Minds’ – as you can rest assured that your little one(s) are receiving the best care possible. I had to go back to work when my son was 6 Weeks Old (Ugh! ), but the Infant Care Teachers (Ms. Mitzie, Ms. Geeta& Ms. Manuela along with director Ms. Fashana) were 100% supportive and loved my son like their own. I interviewed nearly every parent in the class before enrolling Brandon, and every review was positive. They play outside, they have age appropriate toys, activities and even crafts (I uploaded a picture). My husband and I pop in quite often unannounced and the Teachers are always on their feet, rotating the babies between activities, encouraging growth and developmental activities and even promoting manners and basic sign language. The older children have even cooler activities (Some Day! But we’re still in drool phase…). I truly pick up a ‘Happy’ Baby every day! We moved to Mission Viejo in March and had to find our 4 year old a new preschool. My husband had checked this school out on his own and then sent me to take a look. I was really impressed. The first thing I noticed was all the kids looked very happy. The staff is so caring and wonderful with the kids. This is not a “daycare” . They teach your kids everything they will need to go off to elementary school. Today was my daughter’s last day and we will miss them all so much. The amount of work and time and love each and every staff member puts into this place is amazing. I only wish we had moved here sooner. Don’t think twice about sending your little ones here! My son has been at Happy Minds since fall 2014 and we could not be happier. Ms. Fas-Hana hires a dedicated and caring staff. I feel they work hard to create programs and activities to keep the children engaged and active, in a safe and fun environment. As a parent I feel very well-informed on all the goings-on at the school, communications are always clear and prompt. We are very lucky to be part of the Happy Minds Kids Academy family! 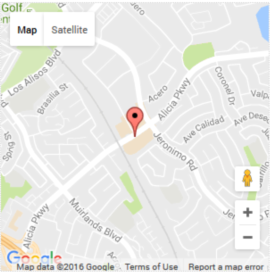 We moved our son from another daycare in Mission Viejo and it was a world of a difference. Not only are the people here very nice but our son is learning so much at this school. Also the owners really care about the kids and they have fun field trips in the summer program. I feel that my son will be really prepared for kindergarten in the fall. “I cannot say enough good things about Happy Minds Kids Academy. My son has been at the school for a year and a half and is thriving in every way. He enjoys school so much that he is disappointed that he cannot go on the weekends and occasionally cries when I pick him up. He talks about all his friends and his teacher, Miss Emmy – he’s been in her class for nearly a year. The teachers know the students well and are filled with endless patience and energy. I am one of the last parents to show up at the end of the day and have yet to see his teacher look tired – in fact, just the opposite. She is full of smiles and often laughing. It is clear that not only is she good at what she does, she truly enjoys doing it. When issues arise, Ms. Fashana handles them in a loving, professional way – not a combination you find often. She clearly cares about the children and tries to understand the background and help come up with a solution. She is extremely approachable and completely dedicated to the children’s development and the school’s success.